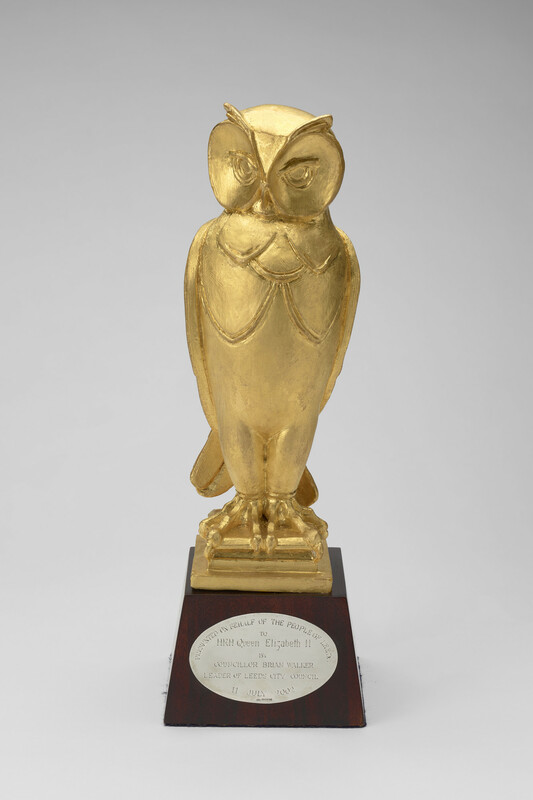 Gilt model of an owl perched on a square plinth and mounted on a wood stand. The owl represents the bird that features in the coat of arms for the City of Leeds. To celebrate the Millennium, the city commissioned four large gilded models of owls to stands on plinths outside Leeds Civic Hall. These were designed by the City Architect, John Thorp. These original owls are nearly three metres tall; this smaller version was presented during The Queen's Golden Jubilee visit to Leeds.